Bathhouse Row is a group of bathhouses, buildings, and gardens which is located at Hot Springs, National Park in the city of Hot Springs, Arkansas. In 1982, the government took over the four parcels of land to preserve 47 natural hot springs including the Bathhouses. The current bathhouses came to the third and fourth generations of the bathhouses along Hot Springs Creek. Bathhouses were built in neoclassical, renaissance-revival, Spanish and Italian styles with linear patterns formal entrances, outdoor fountains, promenades and other landscape- architectural features. Hot Spring became known in the United States as an alternative medicine for healing but later on, in mid-20th-century new medicine advancements were discovered and the spas became less believable as a cure for an illness. 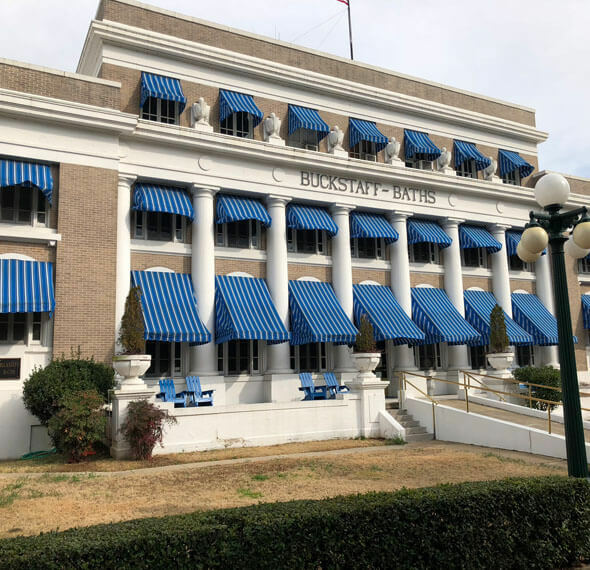 The Bathhouse Row contains eight bathhouses aligned in a row: Buckstaff, Fordyce, Hale, Lamar, Maurice, Ozark, Quapaw, and Superior. The area has a historic landmark with a Grand Promenade on the hill above the bathhouses, an entrance way including fountains, and a National Park Service Administration building. This bathhouse was completed in 1912. Its operation is under National Park Service regulations with a well-trained staff that provides services from a tradition thermal mineral baths and Swedish body massages. The bathing tubs are private and bathing suits are optional. The services begin with a “whirlpool mineral bath” for $35.00. This bathhouse is a cream-colored brick building and designed in neoclassical style with the base, spandrels, friezes, cornices and the parapet finished in white stucco. The entrance is divided into seven bays by engaged columns, with a pavilion on each end. The Friezes above the two-story columns have medallions. Above the two-story columns is the Friezes, it has medallions that frame the brass lettered word “Buckstaff Baths”. The brass handrails border the ramp that gives brass covered and glazes wood-frame entrance doors. The first window is arched, second story windows are rectangular. The third floor is a small rectangular window, with classical urns in between above the cornice. Lobby and men’s facilities are located on the first floor of the building while the women’s facilities are on the second floor. The third floor is a space for reading and writing rooms and gateway to the roof-top sun porches. This bathhouse is the most complex and expensive of the bathhouses. It was closed on July 29, 1992. After a decline in popularity of therapeutic bathing the Fordyce bathhouse has served as a park visitor center since 1989. The Fordyce was designed by George Mann and Eugene John Stern of Little Rock, Arkansas. The goal for elegance was intentional, as Samuel Fordyce observe another bathhouse “Maurice” to find out if he could be built a more attractive and convenient facility. Mr. Fordyce believed that he owed his life to the healing waters and it’s one of the reasons why he built the bathhouse. The style of the building was an influence of a Renaissance Revival structure with Spanish and Italian elements. The building is a three-story brick structure with a decorative cream-colored brick facing with terra cotta detailing. The foundation and porch are constructed of Batesville limestone. On the upper two stories, the brickwork is patterned in a lozenge design. The first floor exterior of the front elevation to the west is finished with rusticated terra cotta. The remaining of the first floor was finished with a glazed brick. A marquee of stained glass and copper with a parapet of Greek design motifs overhangs the open entrance porch. The north and south end walls have curvilinear parapets of Spanish extraction. These side walls have highly decorative terra cotta windows on the first floor. On the first floor, the windows are in a simple rectangular design. The second floor is paired with six-light casements within a detailed terra cotta frieze that elegantly finished the top of the wall. The lobby contains a check room, attendant dispatch room, and elevators. The north and central portions of the bathhouse are the men’s facilities which include cooling room, pack room, steam room, hydrotherapy room, and bath hall. The women’s facilities are located in the south end of the building. Originally, there are 30 tub capacities. Colonel Samuel W. Fordyce was an important figure in the history of Hot spring. He was a soldier, entrepreneur and community leader. The hale was the first Hot Spring in 19th– century bathhouses that offer modern services to the bathers. 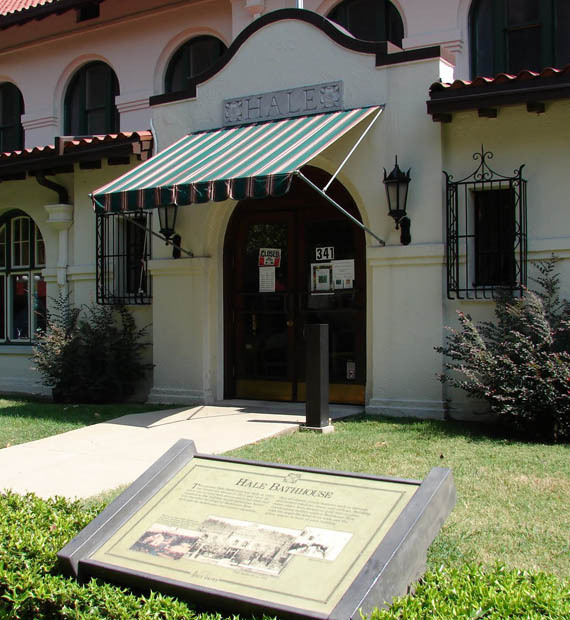 During 1841, the first hale bathhouse was built by John C. Hale. However, the earlier structures were destroyed during Civil War. After the war, Hale rebuilt his structure near Alum Spring. John Hale died in 1875 and the bathhouse was turned over to his heirs. The first floor of the building contains the sun porch, lobby, office, and men’s and women’s facilities. The south section of the building contains the men’s area with dressing room, pack room, cooling room, and bathing hall. The women’s facilities are similar but much smaller in scale. The second floor has additional dressing rooms, cooling rooms and massage rooms for men and women. The parts of the basement have employee dressing room and a display springs. The floor is designed with a French tiling or marble. The bathing department contains tile floor with 26 tubs, marble partitions, and nickel-plated hardware. The tubs were rolled, rimmed, and porcelain lined. It has a 20-foot high ceiling which provides excellent ventilation. This bathhouse has two needle and shower bath, one hot room, six cooling rooms, a gymnasium, and 14 dressing rooms on the men’s side. The women department contained 8 tubs, one vapor bath, one hot room, two cooling rooms, one needle bath, and six individual dressing rooms. 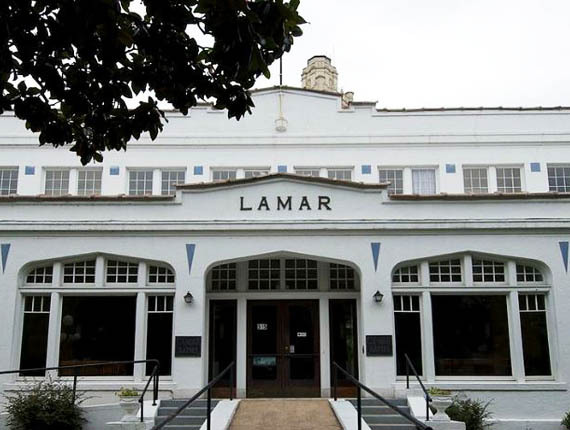 In 1923, the Lamar Bathhouse was built. It has a transitional style often used in clean-lined commercial buildings at a time where elements from classical revivals such as symmetry, cornices, and vague elements were still not adopted. The north, south, and east walls of buildings were covered with murals of architectural and country scenes. Their facilities included cool rooms, pack rooms, and bath halls. The stair core, which is at the center of the building, received natural light from the skylight above. The second floor had massage rooms, a writing room, and a gymnasium. The bathhouse operations ended in November 1985. The bathhouse is a two-story concrete structure finished with stucco on the exterior. The 1st story includes sun porch and the second story is rectangular in plan. Today Lamar is used for park’s gift shop. Maurice bathhouse started by 1911 and was completed by 1912. It was designed by George Gleim of Chicago. The building was remodeled later in 1915, following George Mann and Eugene Jon Stern of Little Rock design. The exterior of the bathhouse is simple but elegant. The interior of Maurice was one of the best equipped and luxurious early 20th– century American Bathhouses. Maurice was the first bathhouses in Hot Spring that provide specialized treatment for polio and other severe muscular and joint illness, being the first one to employ a registered physical therapist. The first floor contains sun parlor, lobby, stairs, and elevators. Men’s facilities are located in the south of the first floor while women’s facilities in the north. The second floor contains dressing rooms, a billiard room with a mural, and various staff rooms. The third floor has a dark paneled Roycroft Den, it was named after Elbert Hubbard’s New York Press. It is also known as “Dutch Den”. The den contains a fireplace with benches and carved masarons details the end of the ceiling beams. The building was originally square in plan. It has 3 stories and contains 79 rooms. The building design was an influence in a combination of Renaissance Revival and Mediterranean styles which was commonly used by architects before. It also has 27 tubs and it could handle 650 bathers a day. This bathhouse is known in spa history which offers special services, elegant appointments, and luxurious décor to attract bathers. 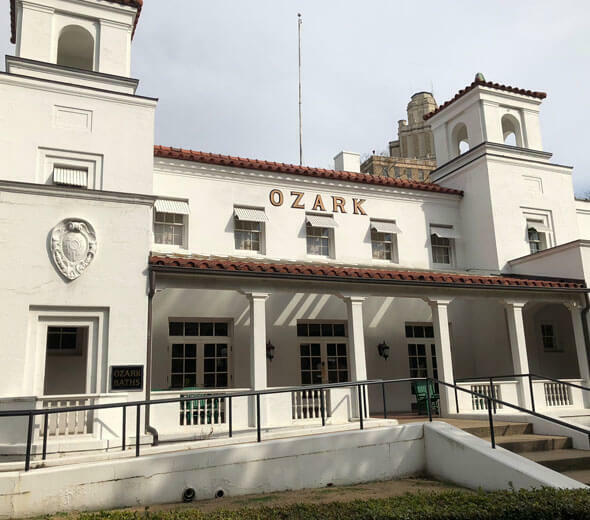 The Ozark Bathhouse was built in 1922 and designed by George Mann and Eugene John Stern of Little Rock. They also designed the other bathhouses. During 1977, the building was closed for bathhouses services. On the interior, mirror covers the walls in the lobby and it has a marble counter with hallways to the men’s and women’s facilities. The floor of the sun porch is covered with quarry tile, and most of the remaining floors in the building are finished with acrylic tile. Ceilings are concrete and painted plaster. Interior walls are brick and hollow tile finished with plaster. The bathhouse is a two-story building with 37 rooms, approximately 14,000 square feet. It is constructed of brick and concrete masonry finished with stucco. The structure is the trapezoidal plan; it has an impressive front elevation and symmetrically designed with twin towers. The windows in the pavilions have decorative cartouches above them. The Ozark’s scroll and shield decorations and classical designs on windows planters suggest a relationship with Roman Baths. 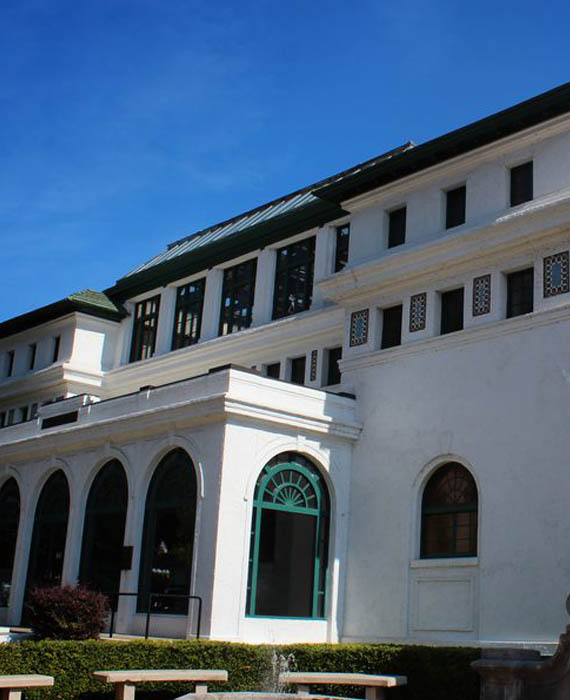 The Quapaw bathhouse was built in 1922. The designed was an influence in Spanish Colonial Revival Style building. The most attractive part of the building is the large central dome covered with colored tiles and capped with a small copper cupola. The use building as bathhouse was ended in 1984. The bathhouse was designed to offer low-priced rates compared with other bathhouses. Quapaw has 40 tubs capacity and can be able to handle as many as three times bathers as the Hale and Superior. 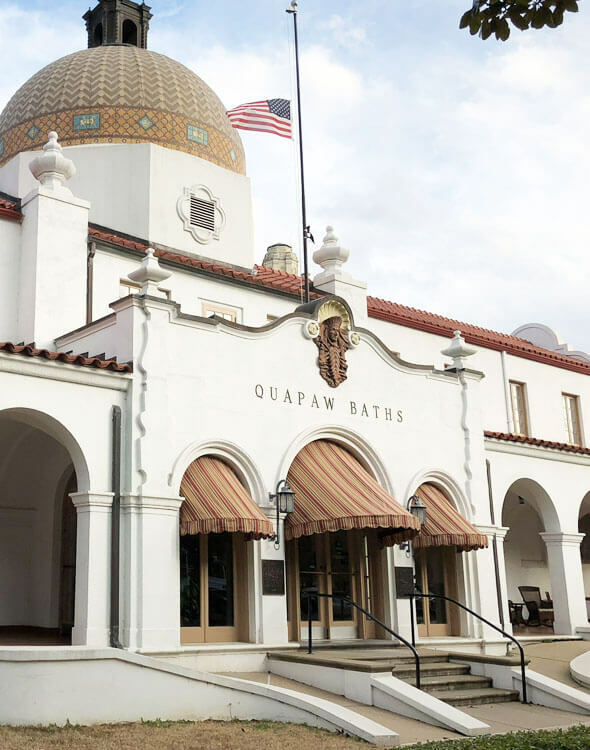 Originally, the bathhouse should be named as Platt Bathhouse, but the owners decided to promote it as an Indian cave then changed the name to Quapaw Bathhouse in honor of a local Native American Indian. 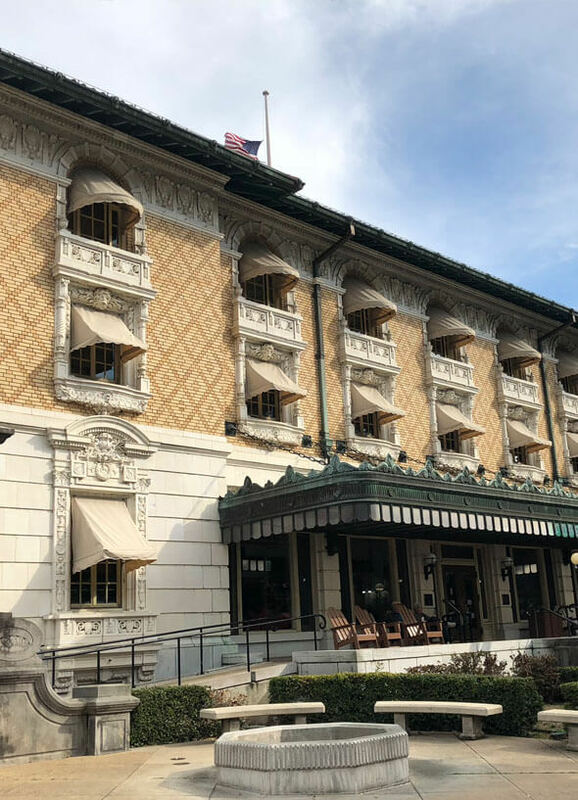 The Quapaw had bathing facilities on its first floor making them accessible to the elderly, handicapped, and wheelchairs. The floor is in U-shaped and has a titled lobby with sun porches on each side and massage facilities on the north and south pavilions. The remaining floor is divided for the men’s and women’s facilities which dwell in the north and south sides. The bathhouse was designed influencing Indian motif. The Indian inspired design can be seen everywhere in the bathhouse. This was used to promote the Legend of Quapaw Baths which claimed that the Indian discovered the magical powers of the cave and spring. The bathhouse was closed in 1968 and later on was reopened as Health Services Inc with only 20 tubs. After few years, it was closed again for renovation to preserve the historic bathhouse. By 2008, the bathhouse re-opened and added to pools to let the visitors enjoy the spring water and the bathhouse as well. 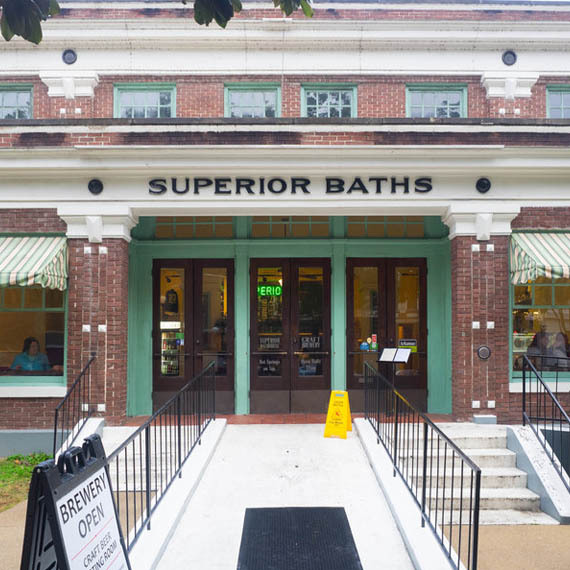 The Superior bathhouse was completed in 1916 and designed by architect Harry C. Schwebke. The structure has two stories and a basement. It’s an L-shape plan and constructed of a brick masonry and concrete. It has 23 rooms and is more than 10,000 square feet. The main exterior designs are on the front elevation. The bays are separated by brick pilasters with patterned insets and decorated with concrete painted in an imitation of ornamental tiles. The first floor contains the sun porch, the lobby flanked by the stairs and the bathing facilities. The longer end of the building is the men’s facilities, dressings rooms, and pack rooms. The women facilities are smaller and located in the south end of the building. The second floor is divided down the middle dressing rooms, coloring rooms, and massage rooms. During 1923, the building was damaged by the flood. Many of the original furnishings were replaced but can’t determine the extent of the changes. Superior currently serves as a brewery and a restaurant.